For breakfast there is a delicious buffet and for dinner and lunch there is a large variety of warm meals, salads and desserts. We also offer vegetarian dishes at the language camp. When there is an excursion, we prepare packed lunches and the main meal then takes place in the evening. It is not without reason that the daughters of English aristocrats and international celebrities live and study at the Benenden private school during the year. Even HRH Princess Anne spent her schooldays in the breathtaking castle. 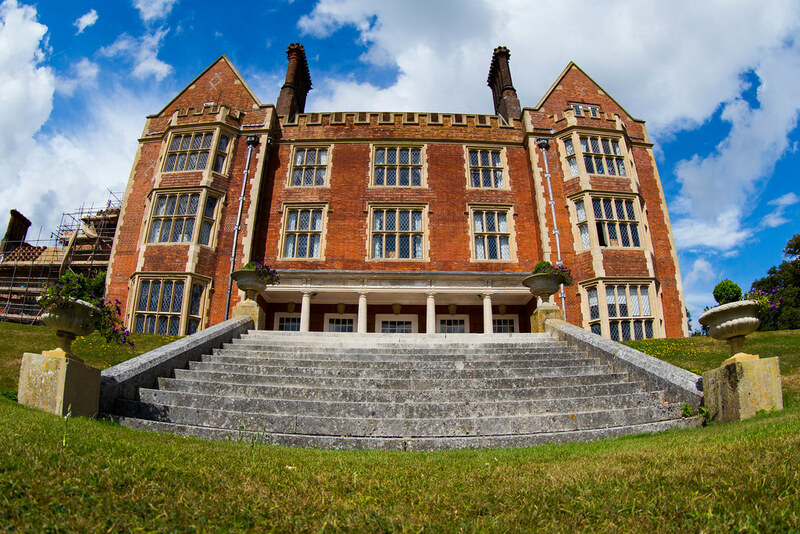 Benenden School provides a “royal” ambience: an enormous park, a beautiful English castle with outbuildings, residential buildings, a festival hall, classroom blocks, a sports and squash hall, an indoor swimming pool, tennis courts and more. For more then 30 years, we have been the only European organization that has access to this magnificent area. We have rented the entire estate exclusively for you. You will live with your peers in one of the residential buildings. We offer shared rooms for the younger students, single and twin rooms for older participants. Register now for your language vacation!